I would have gotten this in the glory days of Audiogalaxy, back in 2002, when The Last Broadcast was radio fare. So it's not really new. But I haven't found myself interested in Doves since Lost Souls; like many bands that make it big, the pressure of a wide listening audience ended up diluting their sound. However, Lost Souls was a good album with a lot of great songs, the best by far being "The Cedar Room." I say this with minimal effect from nostalgia; while I still hear many songs from that period through ruby-tinted speakers, including other Doves songs, this one really holds its own 5 years later. The longest song on the album, it recalls the very best of brit-rock from the era. And although saturated bass, layered guitars, and steady drumming sound sweet, they aren't especially memorable in and of themselves. It's the songwriting and melody that are fantastic - at more than seven minutes, every second passes pleasurably, and it's been playing regularly in my Winamp for half a decade. This is one of those songs I think everyone should have, but probably a lot of people missed when it was just floating around as a single. Definitely worth your time. 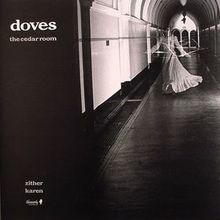 Here's "The Cedar Room," by Doves. ah fab, still my favourite Doves track. We're big fans of the Doves, and Ryan and I were inspired by them during the recording of our first album. I hope you don't find this post too out of place, but we'll be playing the Social on Saturday January 5th with S.K.I.P. and Kingsbury, and it would be awesome if you could come. wow thanks for this.... albeit a long time later, i happened to run into this post. I was only familiar with "Some Cities". This will be a nice investigation for Spring 2009. I have been listening to this track since 2000 and it's got to be one of my all time favourite songs. No one can degrade us except ourselves; that if we are worthy, no influence can defeat us. What do you think? The longest song on the album, it recalls the very best of brit-rock from the era. The invention ertryh is a big change of the world. I have been listening to this track since 2000 and it's got to be one of my all time favourite songs.Good Luck! He has an axe to grind. great band here. love listening to their songs.